Mindful Gifts, a company that provides appropriate gifts and activities for dementia sufferers, Blu Rocket Design, a graphic design agency with a passion for pro-bono support and John Taylor Hospice were among the main winners at the Social Enterprise West Midlands awards. 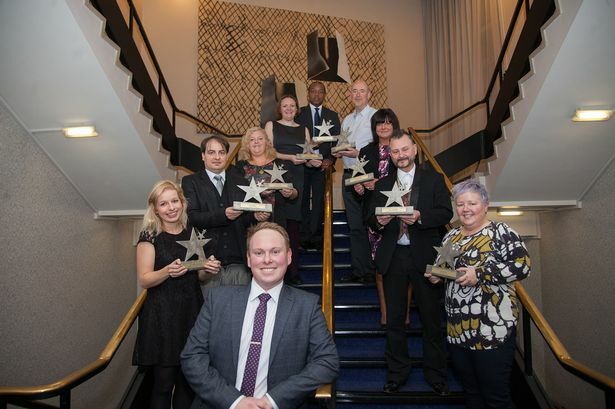 Twelve of the West Midlands’ leading social enterprises and their supporters were recognised when the sector’s biggest regional competition came to a finale. John Taylor Hospice, which has provided palliative and end of life care in Birmingham for over 100 years, claimed the SE Prima Award after its Benjamin’s Brothers ‘Crowdfunding’ campaign raised £3,000 to buy a crucial aid in helping African and Caribbean men address prostrate cancer fears. A customised prosthetic rubber bottom – made in black rather than traditional pink – has been purchased and is now being used to show members of the community how they can check themselves earlier. Melanie Mills, chief executive of SEWM, said: “Our sector is experiencing significant growth and is increasingly being viewed as an important economic driver…it is only right that we recognise the organisations, enterprises and individuals that are making it happen. Sponsored by Mears Group, the evening’s other winners included: Class Careers (SE Passion), Councillor Faye Abbott (SE Inspire), Creative Alliance (SE Profit), Elizabeth Barker (SE Professional), Lingo Links (SE People) and REPC (SE Planet). SEWM also recognised two individuals - Sandwell Community Caring Trust’s Geoff Walker and Stephen Holmes of HMP Stoke Heath – for their outstanding contributions to social enterprise. The final award on the evening went to the Signing Tree Conference Centre for its Social Saturday promotional video that has become a viral sensation. The SE Awards were backed by a host of sponsors, including Adullam Homes, Amey, Anthony Collins Solicitors, Aspire Group, DiSE, Enterprise Foundation, Lister Trade Frames, PwC, Sustainability West Midlands and UnLtd.